Written by Alan H. Yang. All Asian powers are currently strengthening their regional ties. Some aim to spearhead development to build their own sphere of influence. Some eagerly join the regional integration process to fend off the threat of marginalization. China and Taiwan represent the two extremes at both ends of the spectrum. China’s Belt and Road Initiative (also known as B&R) is Chinese President Xi Jinping’s master plan for consolidating his rule and taking advantage of China’s domestic development momentum to grow the network of China-friendly nations in the region. The initiative uses bilateral investment programs to establish bases for collaboration in certain locations and then connect these “points” into “lines” through infrastructure. With the support of neighbouring countries, China interweaves the various branch lines of this transportation and economic corridor into a surface area, thus creating a hinterland for development that urgently needs China and constructively accommodates its rise. Essentially, the Belt and Road Initiative is a new Long March. For the Communist Party of China, this Long March is not a philanthropic undertaking to end all suffering but a revolution and reform with strategic goals and outcomes. The Long March wants to overthrow the existing power system. Soft propaganda (the Chinese dream), hard performance (economic strength seamlessly backed up by investment, production and political support) as well as self-persuasion (the philosophical concept of the Trend of the Times or the Mandate of Heaven) plays a crucial role herein. China uses the same wording to lobby for cooperation partners and to convince domestic society that the nation will make a comeback and rise again as a strong power. Strategically B&R is China’s response to classical global geopolitics. One Belt focuses on the heartland whereas the maritime One Road with its multiple hubs encompasses the heartland and invigorates it via the sea lines of communication. While this strategic thinking is old wine, the grand initiative is a new bottle. In the 64 countries along the route of the Long March, China turns massive capital into transportation infrastructure, and then makes the transportation network the focal point for its strategic planning to connect markets with the developing hinterland. It is probably far too early to look into its outcomes. But B&R definitely enables China to lead the way for the neighbouring countries as it shapes a new demand-supply relationship initiated by itself and embraced by the world and builds strength to deeply penetrate neighbouring societies and beyond. Of course, with the emergence of a large number of infrastructure projects, warning on the risk of the global financial system, criticism about their technological shortcomings and poor quality is rising everywhere. Consequently, swelling local resistance has become the main thrust against the B&R along its route. 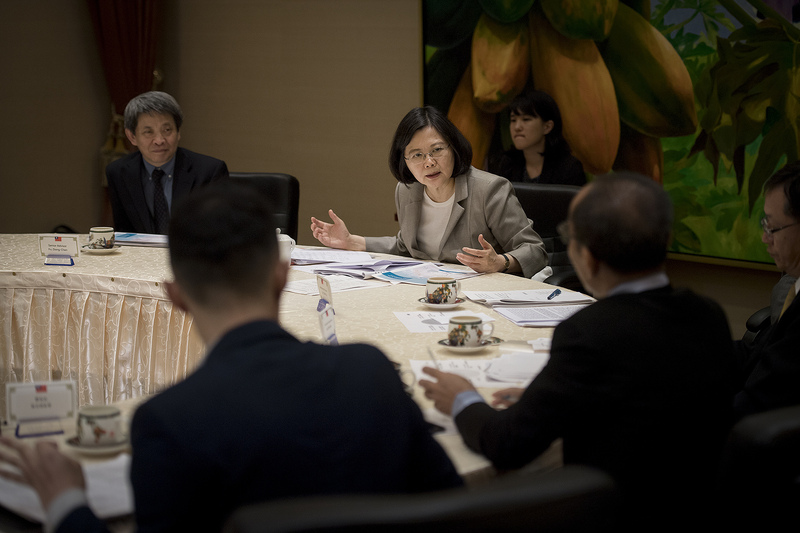 In contrast to China’s grand strategy, Taiwan’s New Southbound Policy is not leading a new regional order, solely emphasizing the collaborative relationships between the lead nation and the targeted nations as well as their societies. On the contrary, as the foreign policy of a small country, the people-centered New Southbound Policy can only firmly believe in an open-minded attitude, appeal for bilateral and multilateral cooperation and make utmost efforts to promote economic prosperity, robust societies and political stability, or else Taiwan won’t be able to secure a chance for survival amid the power struggle of the great powers. At the same time, Taiwan must integrate the axes of domestic development and foreign relations if it wants to highlight its possible contributions to the community building efforts led by the Association of Southeast Asian Nations (ASEAN). Essentially, the New Southbound Policy does not build on any political premise, nor does it intend to exclude any Asia-Pacific power or regional partner from jointly developing and realizing the ideals and goals of the New Southbound Policy, or have hypothetical rivals. 18 target nations, Japan and the United States and other countries are all considered counterparts for concurrent cooperation and diverse approaches. Aside from paying close attention to hard infrastructure and transportation network linkages, Taiwan’s new policy places more emphasis on soft infrastructure and connecting people through social networks, thoroughly reflecting and underlining the shared value of a people-centred agenda. Strategically, six of the 18 nations targeted by the New Southbound Policy are focus countries, such as India, Indonesia, Malaysia, the Philippines, Thailand, and Vietnam. Decisive here weren’t dogmatic, strategic priorities but that these countries, societies and cities have maintained close contacts with Taiwan for a long time. The fruits of these long-standing relationships are worth to be turned into shared demand and development niches in the future. The new policy aims for issue-oriented collaboration, strengthening diverse partnership relations in commerce and trade cooperation, talent exchange, resource sharing and regional linkages. Currently, there are five flagship projects and three potential issue-areas offering flexible approaches for Taiwan and its neighbours to jointly cultivate talent, promote industrial linkages and respond to development challenges. At the present stage, the outcomes show that with the Southbound Policy Taiwan does not aim to forcibly seize resources and production bases overseas, nor does it want to expand its domestic market without limits. And the policy is definitely not meant to be a Long March for overthrowing or reforming resource allocation systems. Probably some doubts are being raised in public discourse about this way of cultivating economic community consciousness for the long run, of continuing to deepen partnership relations and arranging and elevating various forms of systematic collaboration. These critics might also think that due to Taiwan’s limited resources and election-related time pressure the New Southbound Policy will hardly be able to produce remarkable effects in the short term. However, only if shared values and regional identity are cultivated in the long term can the New Southbound Policy become a tool for the concrete realization of bidirectional reform which on one hand will build a better Taiwan and on the other hand safeguard national interest amid sustainable local, regional and global development. The new policies of China and Taiwan are both strategies that demonstrate national strength through economic statecraft. Both emphasize the community ideal, one a community of shared destiny, the other an economic community of joint development. This being the case, both still differ clearly. China emphasizes the Long March of allocation whereas Taiwan emphasizes the development experience and the sharing of values and resources. As a large continent, Asia can accommodate China and Taiwan. As long they contribute to the region’s prospects there should be no need to take sides. Dr Alan Hao Yang is Associate Professor at the Graduate Institute of East Asian Studies and Associate Research Fellow and Deputy Director of the Institute of International Relations. 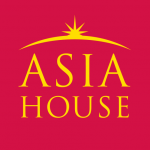 He is also Executive Director, Center for Southeast Asian Studies, National Chengchi University (TAIWAN). Image credit: CC by 總統府/Flickr. Malaysia’s Growing Reliance on China: A Good Thing?